Tripps Travel Network – What to Bring For Your Trip To Las Vegas! Tripps Travel Network realizes that packing can be overwhelming, especially when you don’t know what to bring! Should you carry your lovely red dress or your blue tank top? It is easy to find answers to these daunting questions when you are packing for Las Vegas! The rule of thumb goes here, think casual! This is long as you don’t have a formal business meeting. For those who love dressing up, bring some trendy outfits for a change of look. After you have researched and established how the weather will be like, pack light weight fabrics for summer. Tripps Travel Network recommends that your carry-on or suitcase should include shorts, sandals, tank tops or T-shirts. Most casinos and shows across Las Vegas accept such kind of attires. In case your trip coincides with the winter period, warmer clothes will shield you from the night-time drop in temperatures where it can go as low as 30 degrees. 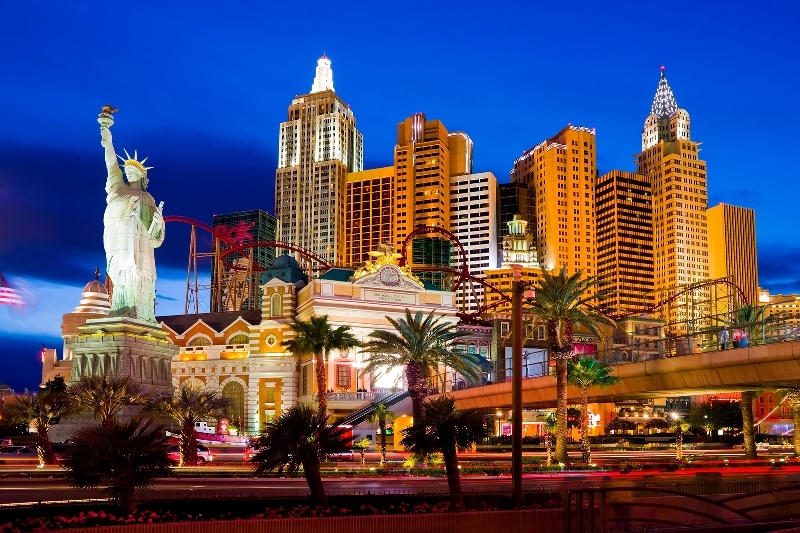 Touring the city of Las Vegas can be exciting and Tripps Travel Network suggests bringing a nice pair of walking shoes to use for walking along the strips ensures that you capture the breath-taking sights the city has to offer. In case of evening outs, more stylish footwear does the trick. Temperatures during summer can go as high as 100 degrees and a pair of sunglasses could come in handy. Moisturizers, body lotions, lip balm and a nice shampoo and conditioner ensure that the desert winds do not dry out your skin and hair.